The triumphs and tragedies of the 1960s provided photographer Bob Gomel and his LIFE magazine colleague’s extraordinary opportunities to advance American photojournalism. "LIFE was the world's best forum for photojournalists. We were encouraged to push creative and technical boundaries. There was no better place to work in that extraordinary decade." The exhibition includes images of presidents John F. Kennedy, Richard Nixon, The Beatles, Marilyn Monroe, Malcolm X, and sports figures such as boxer Muhammad Ali, baseball legend Sandy Koufax, and golfer Arnold Palmer. Several unpublished images - including one of 90 heads of state gathered around the catafalque at the Kennedy funeral and another of John F. Kennedy emerging from America's first space capsule at the Johnson Space Center in Houston - are in the exhibition. Also featured is Gomel's perhaps most known photograph: of then 8 - year old John F. Kennedy Jr. standing solemnly at the funeral ofhis uncle, Robert Kennedy, in front of St. Patrick’s Cathedral in New York. This photograph appeared in a two-page spread in the June 1968 “Special Kennedy Issue” of LIFE magazine. Bob Gomel was born (1933) and raised in New York City. After serving four years in the U.S. Navy, he was promptly offered a job at the Associated Press. But by then, he had changed his mind about what he wanted to do. “I just felt one picture wasn’t sufficient to tell a story,” he explains. “I was interested in exploring something in depth. And, of course, the mecca was Life magazine.”He turned down the offer from AP, and began working for LIFE in 1959, producing many memorable images. 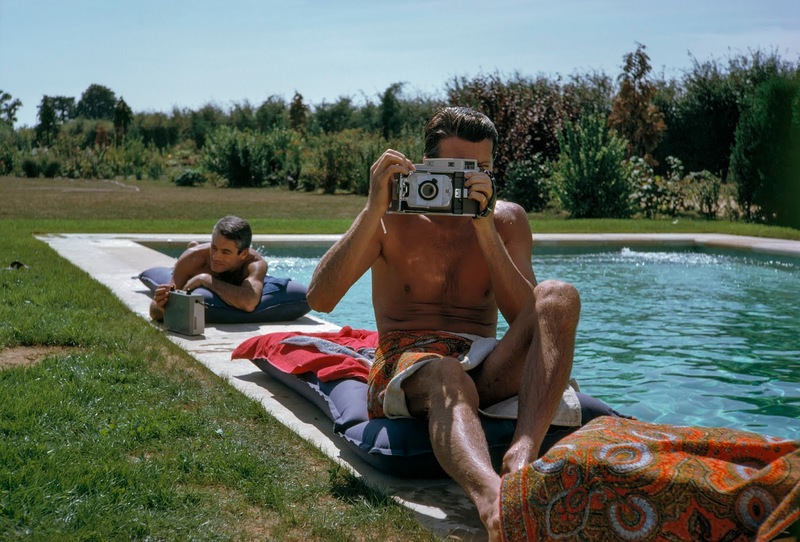 When LIFE ceased being a weekly in the early 1970s, he began making photographs for other major magazines. Also in the 1970s, he branched out into advertising photography. Among other accounts, he helped introduce Merrill Lynch’s Bullish on America campaign. Photographs from Ryan Vizzions: No Spiritual Surrender: A Dedication to Standing Rock will be view at Monroe Gallery during The Photography Show presented by AIPAD (April 4–7). He will be signing books on Friday, April 5 at AIPAD. A second signing will be held April 12 at Monroe Gallery in Santa Fe. Santa Fe— Monroe Gallery of Photography will be exhibiting 20th and 21st Century photojournalists and documentary photographers in Booth #706 during the 2019 AIPAD Photography Show. 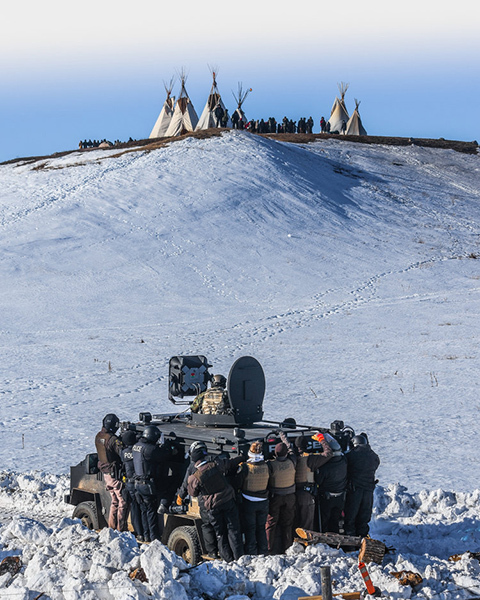 Highlights include Ryan Vizzions dramatic photographs from the Dakota Access Pipeline protests at Standing Rock in 2016-7; Vizzions will be signing copies of his new book documenting the protest movement “No Spiritual Surrender: A Dedication to Standing Rock” in the Monroe Gallery of Photography booth on Friday, April 5, 5-7 pm alongside his photographs. 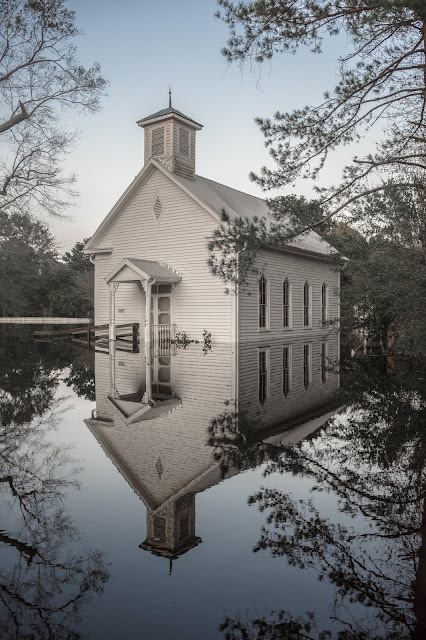 Vizzions photographs of the aftereffects of Hurricane Florence in North Carolina will be also on view together with Stephen Wilkes’ large-format color photographs documenting Hurricanes Sandy and Katrina. These hauntingly beautiful photographs draw the viewer into the larger story of climate change. Several photographs of the American civil rights era are coupled with contemporary images from the Black Lives Matter movement, Neo-Nazi protests, and President Donald Trump. Completing the AIPAD exhibit will be a range of work by Tony Vaccaro, now 96 years old. We are especially excited to have Tony Vaccaro present in our booth for most days of the Show. 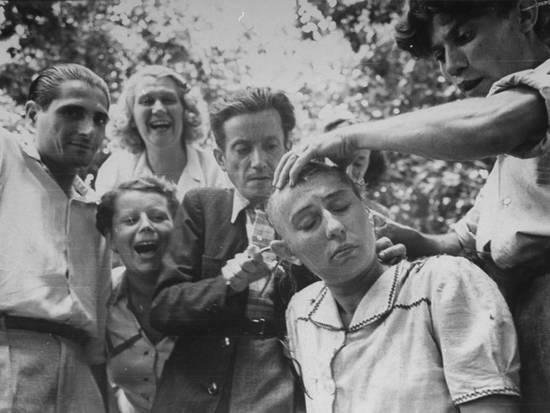 After photographing WWII as a soldier Vaccaro went on to become one the most sought after photographers of his day and is enjoying a career renaissance. The term “fake news’ is now commonplace; documentary evidence has been denied or disputed by those in power, and coupled with the US administration's attacks on the press, the work of photojournalists is a reminder that photojournalism is a vital and necessary component of a free society. For further information, please call: 505.992.0800; E-mail: info@monroegallery.com. For more information including directions to the show, click here. Santa Fe--Monroe Gallery of Photography is pleased to announce the release of an important photobook by independent photojournalist Ryan Vizzions documenting the Standing Rock movement. “No Spiritual Surrender: A Dedication to Standing Rock” will be first released at a special book signing during the AIPAD Photography Show in New York at Pier 94. Ryan Vizzions will be signing copies in the Monroe Gallery of Photography booth #706, on Friday, April 5. A second book signing will take place Friday, April 12 in Santa Fe, New Mexico at the Monroe Gallery. (Books are only available for in-person sales at these event, no orders or reserves.) Monroe Gallery of Photography is the exclusive representative for Vizzions’ fine art photography. The 11” x 8.5” hardcover bound book comprises 5 visual chapters with 117 photographs across 166 full color pages. Vizzions’ takes the viewer inside the resistance camps, both showing frontline resistance to the pipeline and conflict with the over 50 law enforcement agencies from over 10 states, as well as the spirit and life of the camp itself. 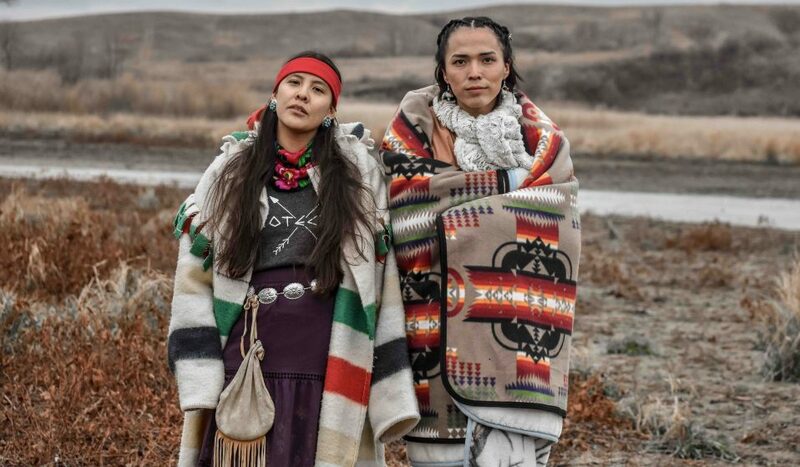 Featured in the book are writings by Joye Braun, Paula Antoine, Bobby Jean Three Legs, Waniya Locke, Jennifer Weston, and Morgan Brings Plenty, - Oceti Sakowin women - to provide context and history of the Standing Rock reservation. Between April of 2016 and March of 2017 one of the largest social justice movements in American history took place in the plains of North Dakota on the Standing Rock reservation. With an oil pipeline threatening the drinking water of the Standing Rock Sioux and 17 million people downstream on the Missouri River, thousands of people ascended upon the resistance camps to stand in solidarity with the Lakota Sioux and oppose the construction of the pipeline. From early spring of 2016 to late winter of 2017, over 15,000 people camped in tipis, army tents and vehicles without the use of electricity in an attempt to raise awareness and prevent the possible contamination of Lake Oahe, the source of drinking water for the reservation. Over 300 tribes and indigenous communities traveled to the camps, as well as nearly 4000 veterans and 500 clergy, to stand in solidarity with the NODAPL movement. In September of 2016, Ryan Vizzions traveled from Atlanta, Georgia to stand in solidarity with the movement. Bringing his camera with him, but not intending to be a media source, Vizzions soon found himself using social media to reach over half a billion people with his photographic documentation of events unfolding over the months. 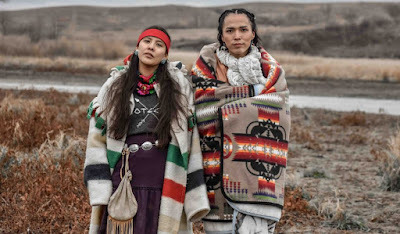 With viral reach of one photograph in particular, "Defend The Sacred", Vizzions’ photography helped bring awareness around the world to the movement. Vizzions documentation of his 6 months at Oceti Sakowin camp was selected for the "Photos of the Year" by People Magazine, ABC News, The Guardian, Artsy.net; and as well his work has been featured in the Nobel Peace Prize forums, Adbusters, Huffington Post, Mother Jones, Amnesty International and many more publications as well as books such as "The Militarization of Indian Country" by Winona LaDuke & "An Indigenous Peoples History of The United States" by Roxanne Dunbar-Ortiz. 100 advance copies are being made available exclusively through the Monroe Gallery book signing events, and proceeds from these releases will be given to the Water Protectors to help against KXL Pipeline, another oil pipeline threatening the same indigenous lands as DAPL. From the total edition of 2,000 500 books are being donated to Water Protector families across the nation as a thank you for standing in support of the water. On April 1st pre-orders will open to allow the public to access the book. Atlanta based photographer Ryan Vizzions first discovered his love for exploration and photography in 2010 while on a self discovery trip around the world. In Atlanta, Vizzions has been named Creative Loafing 2014 "Best Fine Art Photographer" (readers choice), 2015 Creative Loafing "Best Cityscape Photographer" (critics pick), worked alongside international brands such as Adidas and Pharrell Williams, along with local companies such as #WeLoveATL, The Atlanta Opera, Van Michael Salon, and covered many music festivals including Outkast's long awaited reunion series "Outkast ATLast". Hosting his own photo exhibition yearly entitled "Wander Never Wonder", Vizzions connects local photographers, and helps provide a platform for local artists to make money off of their craft. Ryan is also involved with the Atlanta community, often donating portions of his art sales to various local charities and foundations. This is the second of two exhibitions showcasing the historical and contemporary work of internationally acclaimed photographer Steve Schapiro. The first exhibition that closed on December 22, 2018, was devoted to his contact sheets from the civil rights era. This second exhibition highlights his current photographs from the Black Lives Matter and anti-violence protest movements in Chicago. A smaller exhibition featuring his photographs from Chicago’s Misericordia Heart of Mercy home will also be on display. American photojournalist Steve Schapiro has documented six decades of American culture, from the assassination of Martin Luther King, Jr. and the presidential campaign of Robert F. Kennedy to Andy Warhol’s Factory and the filming of The Godfather trilogy. He has published a dozen books of his photographs, has exhibited his work in shows from Los Angeles to Moscow, and is represented in the permanent collections of the Smithsonian Institution, the Metropolitan Museum of Art, and the J. Paul Getty Museum, among others. Sponsored by The College of Arts and Sciences, Roosevelt University with generous financial support from Susan B. Rubnitz, and Elyse Koren-Camarra, along with a donor who wishes to remain anonymous. A companion exhibition, “Activists and Icons: The Photographs of Steve Schapiro”, is on display at the Illinois Holocaust Museum & Education Center in Skokie through June 23, 2019. The exhibition features iconic as well as never-before-seen photos of the Civil Rights Movement and cultural and political change-agents of recent history. For more information, visit ilholocaustmuseum.org. View more of Steve Schapiro's work here. “History In Pictures” is a gripping selection of images that brings home the power of visual storytelling. These unforgettable images are imbedded in our collective consciousness; they form a sort of shared visual heritage for the human race, a treasury of significant memories. Many of the photographs featured in this exhibition not only moved the public at the time of their publication, and continue to have an impact today, but set social and political changes in motion. Several of the photographs in the exhibition are consistently referred to as among the most influential photographs in history; they shaped the way we think, changed the way we live, and some were turning points in our human experience. Looking at the pictorial documentation of such extraordinary events we often get the impression that we are feeling the pulse of history more intensively than at other times. Although often not beautiful, or easy, they are images that shake and disquiet us; and are etched in our memories forever. Monroe Gallery of Photography is very pleased to exhibit at the Photo LA Fair January 31st - February 3rd, 2019, in The Historic Barker Hangar, Santa Monica, CA. Monroe Gallery will be located near the front entrance of the fair in Booth #A01. We are especially excited that Tony Vaccaro will be in attendance during the Fair January in the gallery’s booth. On Friday, February 1, Photo LA will screen the HBO documentary “Under Fire: The Untold Story of Private First Class Tony Vaccaro”. The film tells the story of how Tony survived the war, fighting the enemy while also documenting his experience at great risk, developing his photos in combat helmets at night and hanging the negatives from tree branches. The screening will be followed by a Q & A with Tony Vaccaro. (Seating is limited, tickets required from the Photo LA Fair). Also in attendance will be Ryan Vizzions, and we will be exhibiting his photographs from the forthcoming book “No Spiritual Surrender: A Dedication to Standing Rock”, in addition to selections of his other work. Rounding out our exhibit will be important civil rights photographs and historic examples of photojournalism. Right or wrong, love them or loathe them, the end of the year brings everyone's photography "Best of" lists. As 2018 comes to a close, below is what has become an annual tradition: our compilation of what the web selected as the "best" of all things photography 2018; photobooks at bottom of list. Remember when? Revisit the "Best" of 2017.